Have you been lately in to Facebook? 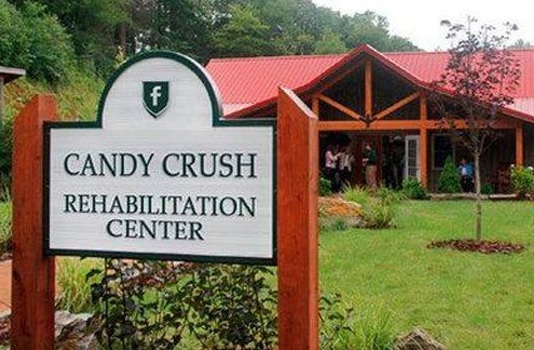 If you have, you must have received at least one candy crush game request. What’s more funny is that people can easily turn specific game request off, still they talk about crushing the candy crush requests. Actually candy crush is a very addictive game. With that, let’s start today’s topic – online games and are they waste or worth your time and money. For some video games are means to earn money. The most subscribed YouTube channel is in fact of a guy who broadcast his game-play. Yet, for most video games are worthless. although I have doubt, serious doubt. To me video games makes you sharper, some games test your reflexes, so they may make you fitter. Let’s explore in more detail. People have been interested in video games as far back as the 1940s when Edward U. Condon designed a computer to allow people to play the traditional games of Nim. The attraction of competing against a machine was enticing for many, be it children or adults. These video games range from comical animation games with rather child-like objectives of collecting priceless gems to mind challenging games that used sophisticated algorithms to stump even the brightest kids in class. Fast-forward to the 21st century, there are virtually endless kinds of online video games, many of which can be found and/or downloaded from the Internet. Perhaps NeverWinter Nights, a role-playing video games, or as the gamers lingo goes – RPG, kicked off the craze over online games. Soon after, throngs of online video games swarmed the Internet, making multi-player RPGs possible with anyone from anywhere in the world. All thanks to Internet connection! But are online games waste of time and money? Since the 1980s, the rate of obesity has tripled for children and doubled for adults. This, as reported by the CDC (Centers for Disease Control and Prevention), can perhaps be attributed to the increase of video games popularity. It takes less effort now for someone to play online video games because of the prolific number of game developers that create multitude of online video games that can be downloaded into a mobile device such as a smartphone or a tablet. A person can stay hooked to a game for hours on ends, ignoring everything else that’s going on around him or her. Being engrossed in an online video game is a double-edge sword. There have been extensive studies conducted on both aspect of video gaming among children and adults. While many parents tend to feel that online games are harmful to their children’s growth, there have been many scientific studies that show how certain aspect of video games can be quite beneficial for children. These studies often discuss the mental skills associated with playing video games, such as the ability to follow instructions, hand-eye coordination along with fine and spatial motor skills. However, the implications of these studies do not exactly talk about how online video games can take up a lot of one’s time and money. Online games, either single or multiple players rarely last one level. They’re usually constructed in such as way that each level is more complicated and extensive than the previous one. This causes a player to push themselves to try and pass their current level to move on to the next level in order to achieve whatever it is the objective of the game. This makes a player more and more attracted towards the game and many become addicted. Video game addiction affects us in multiple ways. Ranging from personal, family, academic, financial, and work related problems that are similar to drug or alcohol addiction. Family relationship suffers the most. This process is highly time consuming and because it takes full concentration, the player is often socially isolated and is completely consumed with the game that he or she often ignored everything else, such as work commitments, relationships and for some, even their meals. There are many players who are able to control their gaming times as to not disrupt their daily routines. However, many view that the time spent playing games could’ve been put to better use. But what one sees as a waste of time, is another’s escape from a hectic day at work. Unless playing online video games takes precedence over everything else that it causes problems not only to the players, but to those around him or her, then online video games is definitely a waste of time and very harmful at that too. There are games that can be real substitute to casinos. Even big casino chains such as Caesars came up with online games such as Real money slots, roulette, blackjack, etc. These games can often lead to spending more money than earning. No longer you need to buy a Vegas ticket to be in a casino. You decide if it’s a waste of money or opportunity to become millionaire. There have been studies which concluded video games help in development of human brain. There are Lumosity games which are scienctifically developed to increase human processing power. Many of these online video games are free. But for serious gamers who want to move on to the next level or require anything further in order to achieve the games’ objectives, these needs often require money. A gamer needs to purchase extra credits in order to buy a tool he or she needs in the game, or that certain types of games are only available if you buy it using a credit card. These things can lead to a lot of money being wasted. Because a gamer is already hooked on the game and would probably do almost anything to acquire what he or she wants from the game, it’s very likely that they will spend money on the games. Spending money on something that gives a person self-gratification is subjective. A person may feel that he or she needs to have something physical in order to feel that the dollars are well spent. While for gamers, the pleasure of being able to amass advanced weaponry in their arsenal is beyond non-gamers’ comprehension. Gamers do tend to spend a lot of money on online video games. Even though there are many games developers that organize gaming tournaments that allow gamers to win money, many online video game players are spending money on something they’re not able to get anything in return, except for to move on to the next level. Online video games are a waste of time and money if a person is addicted to it. If a person spends all his or her time over it, or as much money as he or she financially could on a game, then it can be viewed as something that is rather futile. While there are many famous and successful online gamers out there, how many of us can actually win $1million dollars from playing Candy Crush? It seems to me that video games can be a good thing in moderation. Just like it would be bad to binge on eating ice cream, binging and playing World of Warcraft for hours on end is probably not good for you. You’ve got to be mature about how you use these games, and be aware of your other responsibilities. I think it depends on how much time and money you spend on online games. If you’re spending a lot of time with it and if you’re spending a lot of money for it, then it’s something that’s not good for someone. I’ve played a lot of computer games when I was younger. As I grew older, I started having more responsibilities and had less time to play. It even came to a point where I can only play during summer breaks. I guess despite being accustomed to playing in my younger years, I’m still able to control my gaming habits. I would sometimes play on my table when I want to take a break or to relax a bit, but I haven’t really made big purchases as many games come for free. In the end, I suppose it’s all about self-control. Online games can be beneficial when used right.